British supermarkets have a history of indifference when it comes to Israeli apartheid, and activists have been campaigning for years, asking the companies not to stock Israeli products. 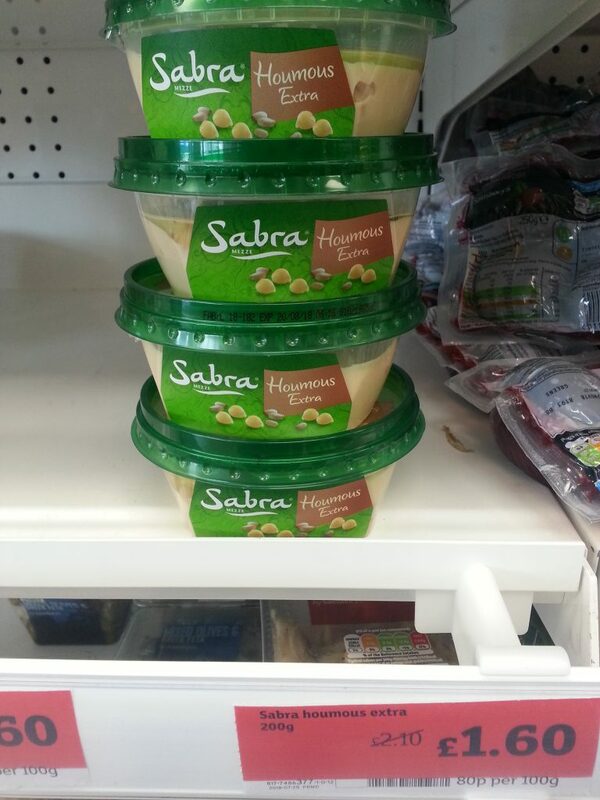 It comes as no surprise to Corporate Occupation to see the Sabra brand of houmous and baba ganoush on supermarket shelves this week. Sabra houmous and baba ganoush are products of Osem Group, which has ten different production facilities in Israel and produces roughly 2000 food products. Sainsbury’s and Waitrose stock Sabra dips. Along with Morrisons and Tesco, they also sell a wide range of Yarden dips and meats. Yarden is also an Osem brand and all Yarden products come from Israel. Osem opened its first factory in Bnei Brak in 1946. Bnei Brak was founded just a couple of kilometres away from the Palestinian village of Al-Khayriyya, which – along with other Palestinian villages – was ethnically cleansed by the Zionist Haganah militia in April 1948. The villagers’ land was later used by Israel as a landfill site. Osem’s Sabra houmous is marketed under the name Tribe in the United States. The company has also launched a brand of gluten-free baked goods in the US under the brand name Gratify. Osem’s other international brands include Garden Gourmet, Veggie Patch, and Halsans Kok – all vegetarian food brands sold in Europe or the US. 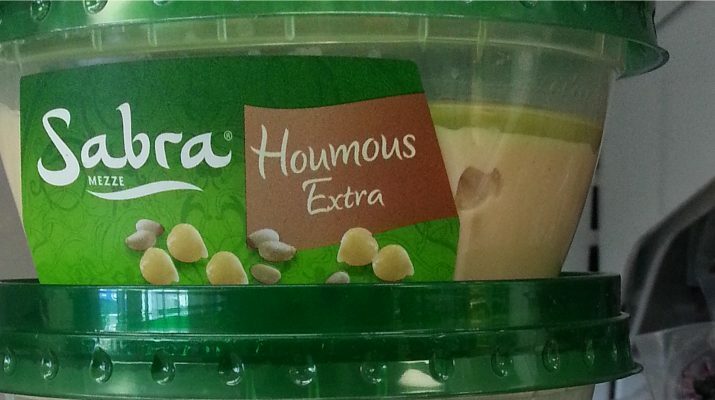 “Today Sabra Salads are available, under the Sabra brand name, in the leading Delhaize retail chain in Belgium, the Albert Heijn retail chain in the Netherlands, the Auchan, Carrefour and Monoprix retail chains in France, as well as in the leading UK retail chains, Tesco, Sainsbury and Safeway.” (Safeway no longer has UK stores, although the Safeway brand is sold in McColls). Osem is 100% owned by Nestle. Within Israel, Osem is “the proud full owner of Nestle Ice Creams,” according to its website. Other products it produces include Nestle Cheerios, Crunch and Nesquik cereal. – Boycott Osem’s Sabra and Yarden food ranges. – Pressure supermarkets not to stock these goods. – Boycott and target Nestle. The Universities Superannuation Scheme (USS) is a big pension fund in the United Kingdom which invests in Nestle. Pressure the USS to divest.